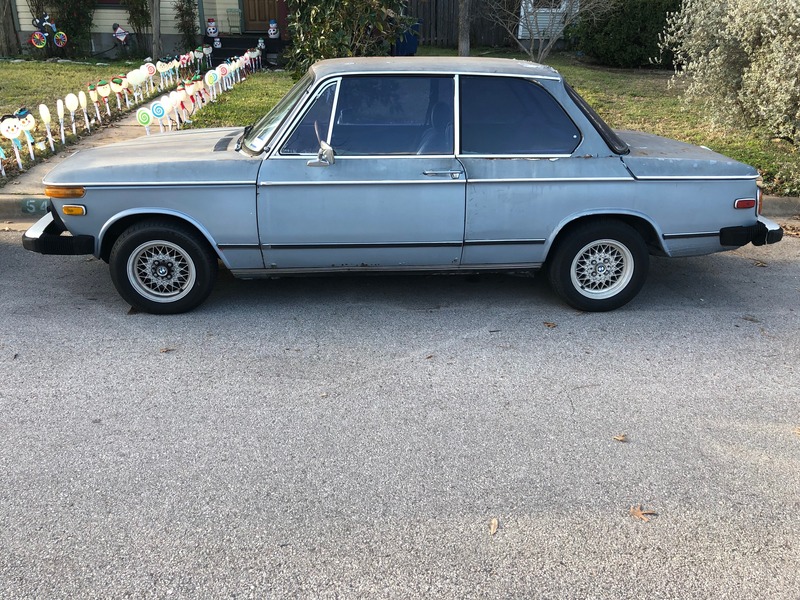 The reason I am finally posting is because, with a heavy heart, I find myself needing to sell my longtime companion ’74 tii. For reasons having to do with life circumstances and the car itself (as will be detailed more below), it is now time for me to let the car go, as I no longer have time to keep up. Between the imminent arrival of another child, this makes 6 projects (3 human, 3 automotive) that I now have lying around. 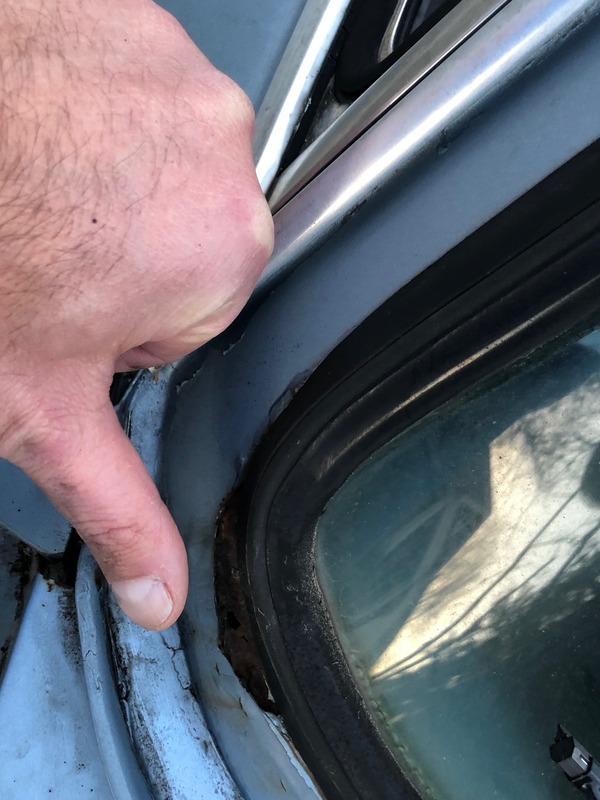 I consider myself an honest person and will try my best to list the problems I see with the car so any potential buyer can make an informed decision about the car. And I will be happy to discuss the car at length with any of those potential buyers. My intention is not to pull the wool over someone’s eyes or to squeeze every last penny out of the car. 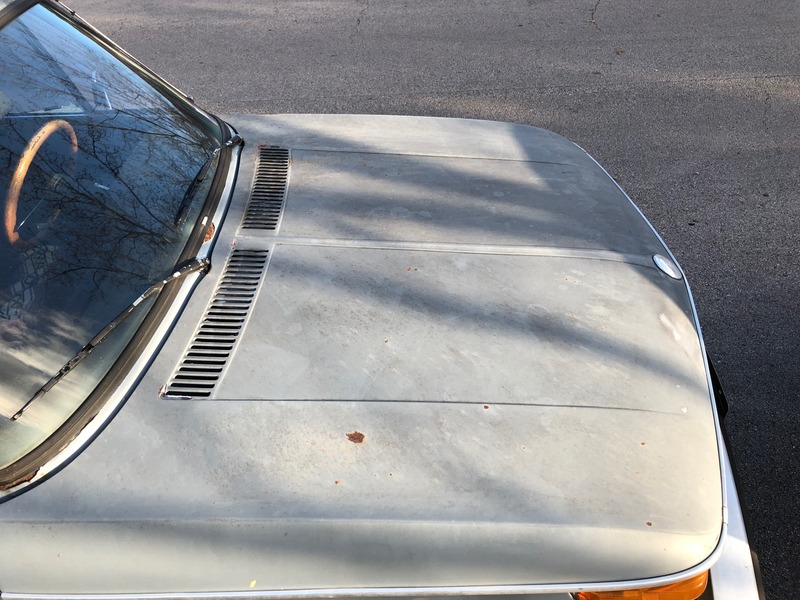 Instead I would really like to see the car go to a good home who will restore the car in a manner which my time (and fiscal) constraints prevent me from doing (again, why I listed in this forum first). This is because I have a bit of an emotional attachment to the car. I bought this car about 16 years ago and it has been my faithful (on and off) daily driver since. I don’t really have much of an idea of the history of the car before I got it, and I honestly have no idea how many miles are on the car. The odometer broke a few years after I bought the car and I never bothered to repair it. 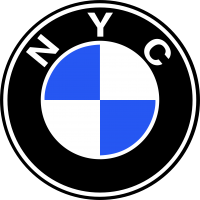 I have performed some of the work needed on the car over that time and when I couldn’t do the work have taken it to a local BMW specialist. However, I am fairly certain the car now needs a head gasket. 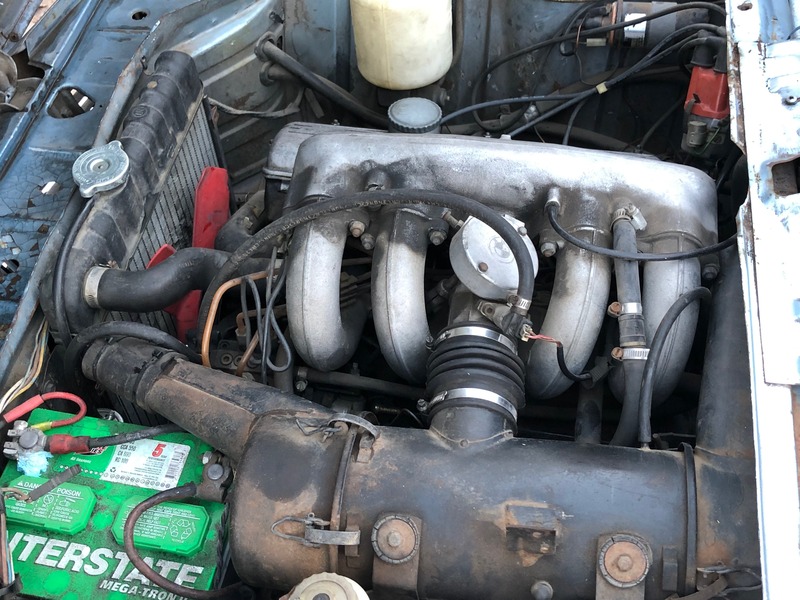 Fluid is getting into the number 3 cylinder, as when the plug was pulled it was wet and the car smokes fairly heavily for a few minutes on initial start up. 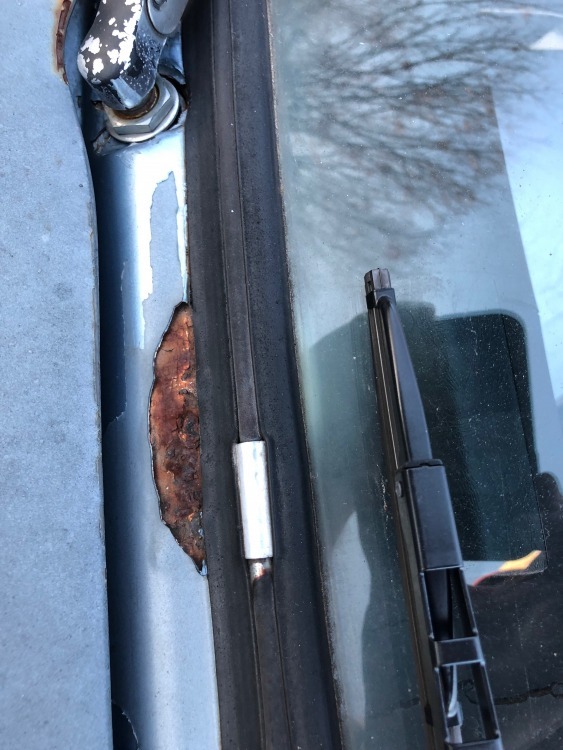 The car also has some rust issues, as is typical. I have tried to capture them in the photos, but I will also try to describe them as well. 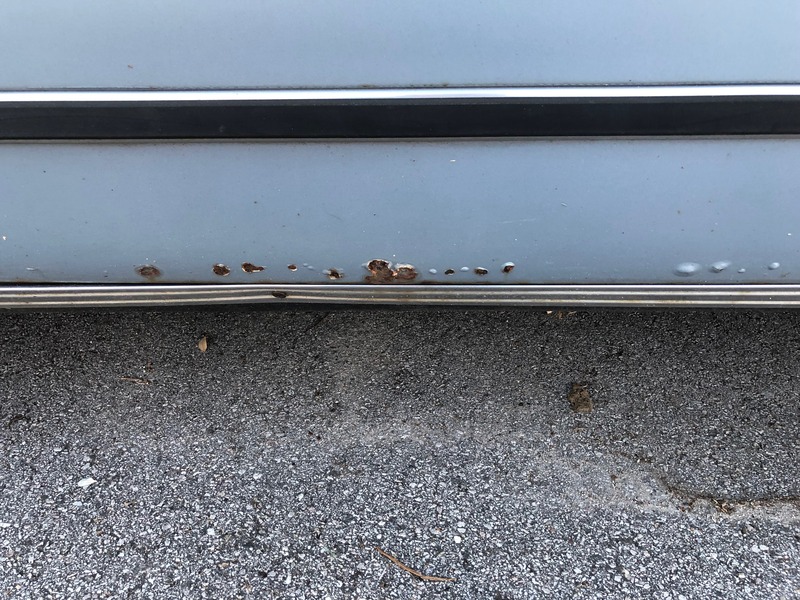 The worst area of rust is around the rear windshield with about a 5 inch area of substantial rust or rust-through at the lower passenger side corner. 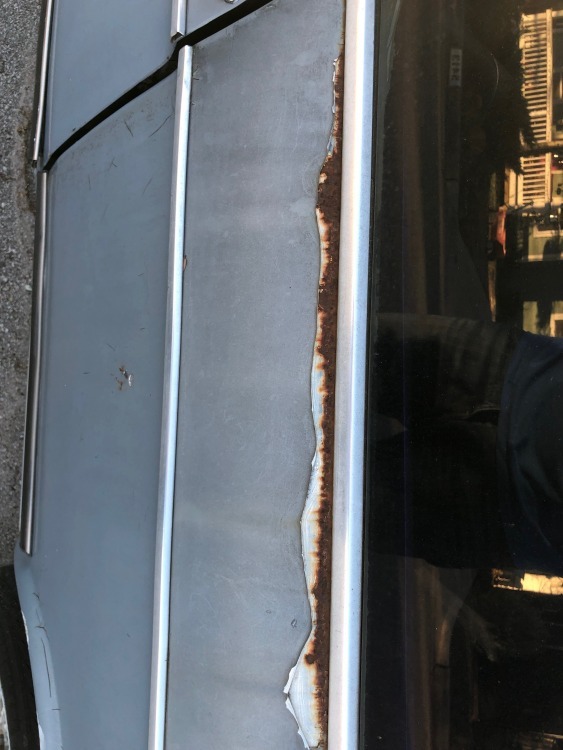 There is also some rust at the center of the base of the front windshield and along the bottom edge of the driver’s side rear window. 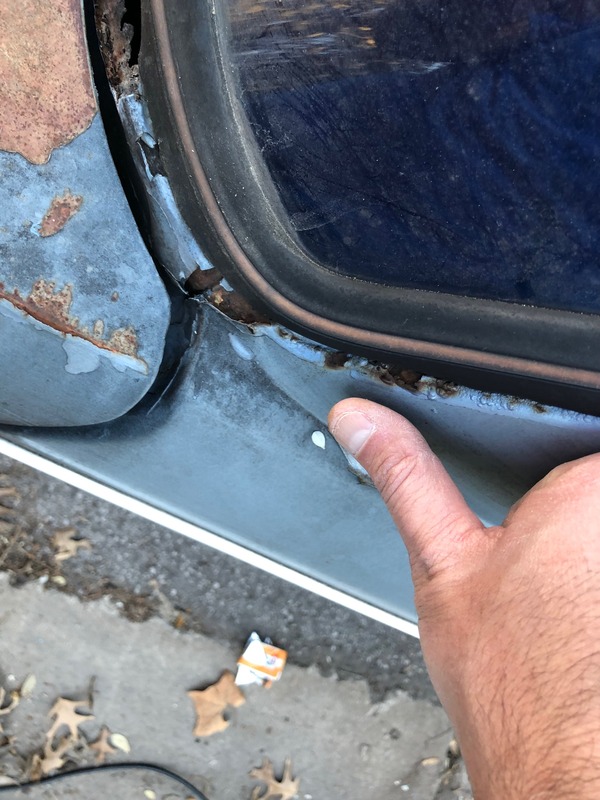 There is bubbling and rust though the paint at the base of the driver’s side door, and some rust in the pedal box/drivers side floorboard. There is also rust in the spare tire well, with about a quarter size rust through. 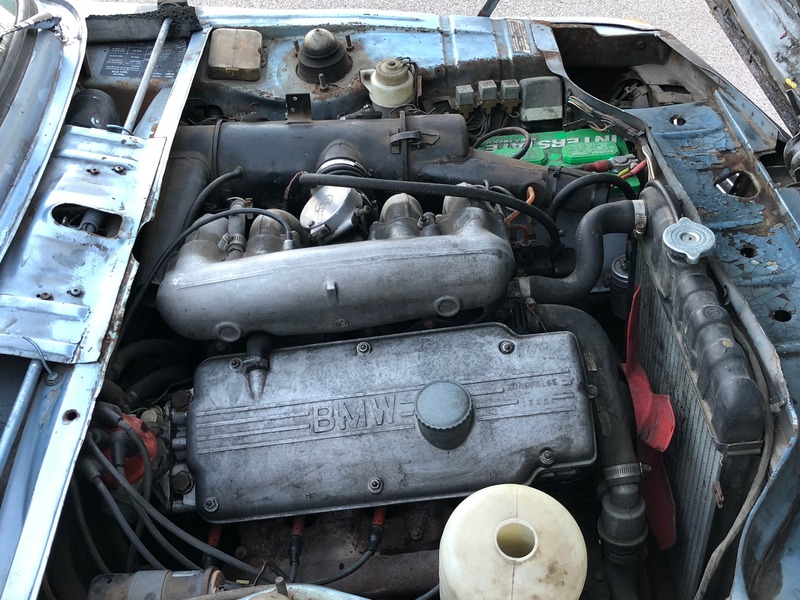 With all that being said, the shock towers appear fairly clean and this car has far less rust than many others I’ve seen posted for sale. 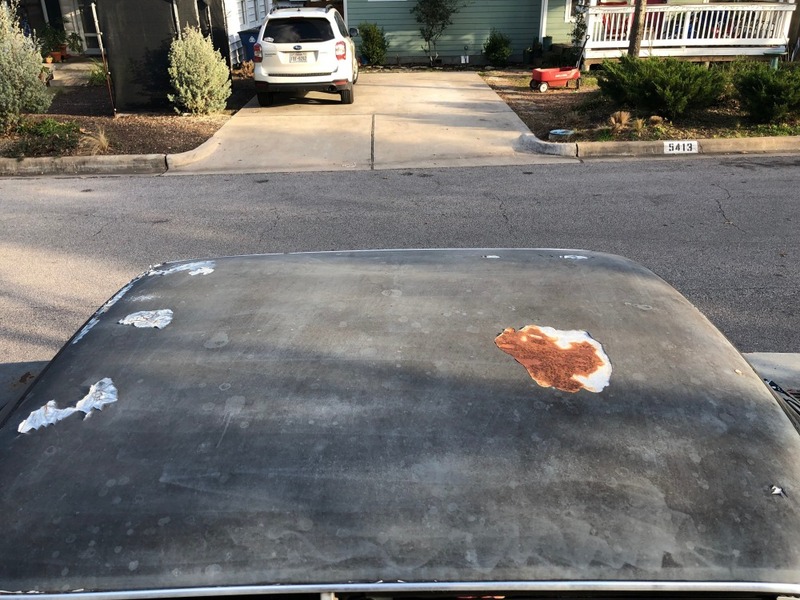 With respect to the rest of the body, the paint is faded on most of the top surfaces of the panels (e.g., top of the roof, hood and trunk) with the paint flaking at the back of the roof and surface rust spots on the top of the roof and trunk. I also believe the hood has been replaced at some point before my ownership as I can see patches of other colors (golf I believe) of paint poking through in a couple of places. 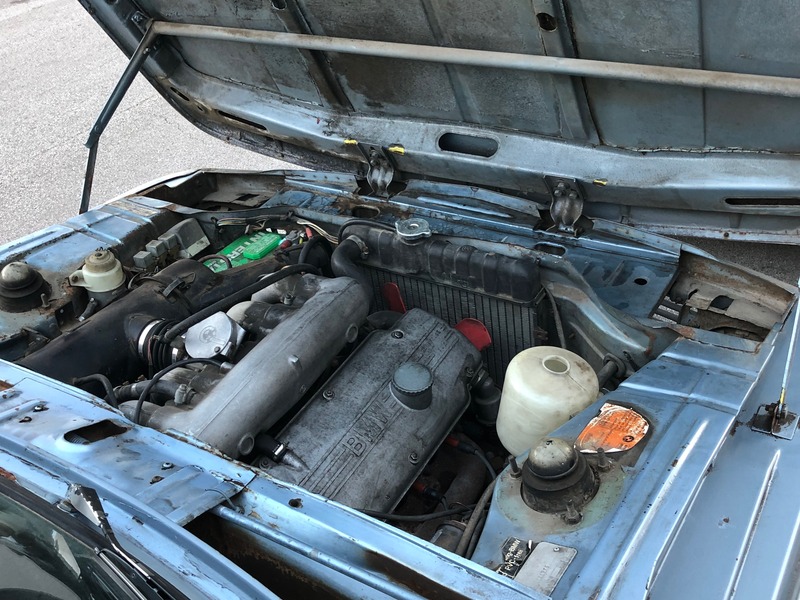 From a mechanical standpoint, aside from the aforementioned head gasket, the car is in pretty good running condition, though the engine is a bit tired. 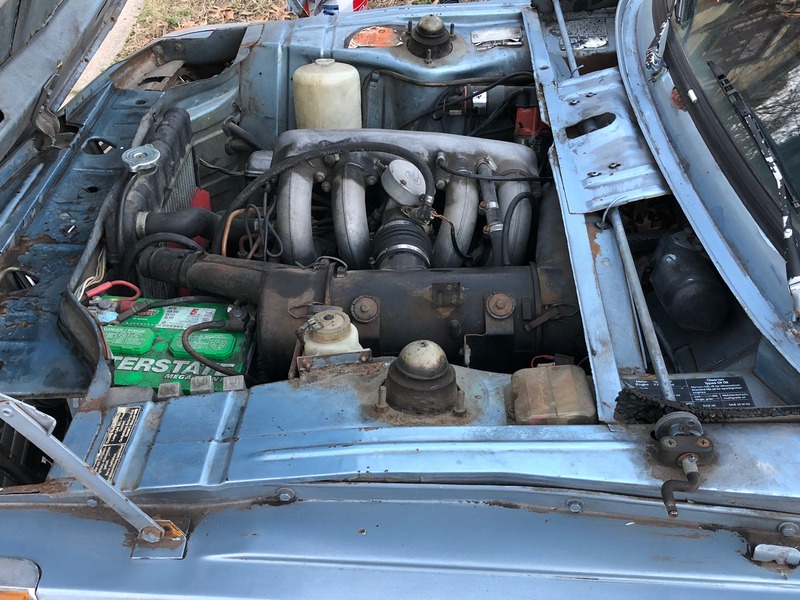 The Kuglefischer system is well tuned and the car idles and pulls well, but the engine starts to strain a little bit and fall off after about 4-4.5K RPM. The cooling system is also in good shape, the car never runs excessively hot, even during the 100+ degree summers in Texas. The car still has the 4-speed in it and I replaced the clutch a few years ago. 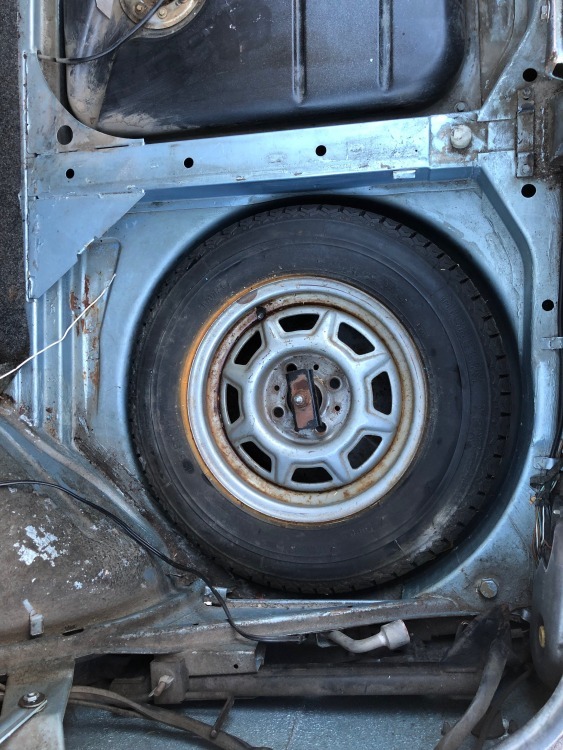 The car shifts pretty well, but after I replaced the clutch, the clutch take up occurs a little closer to the floor than before. I replaced the alternator a few months ago and the charging system is completely up to snuff. I also rebuilt the front calipers and the rear drums within the last year and a half or so. The car also has A/C. 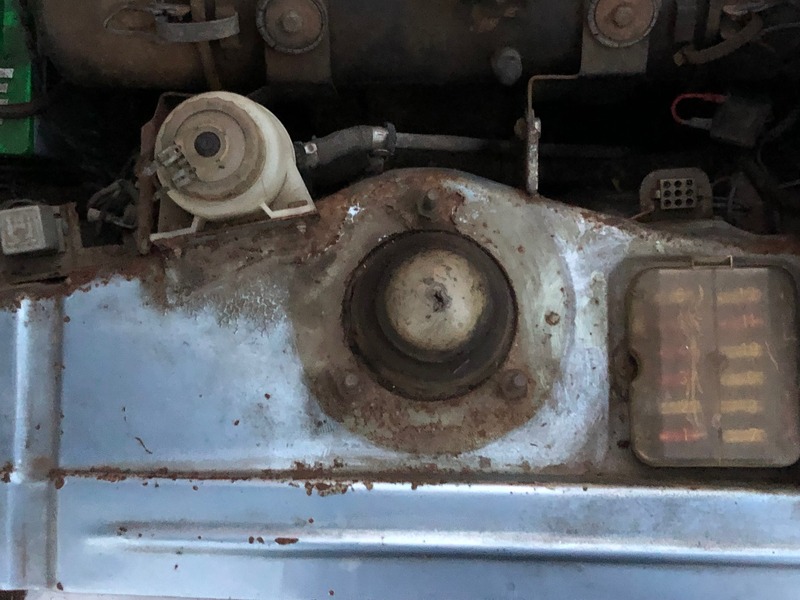 While the A/C does not work, the car retains all the A/C components, including the bracket, compressor and proper pulleys. All the external lights, dash lights (except for a backlight on one climate control panel) and gauges (aside from the odometer) work as they’re supposed to, however, the blinker relay needs to be replaced (or the diode trick performed) as the blinker light stays illuminated sometimes (thought the blinker still work). With respect to the interior, the dash is obviously incorrect for a tii, as it doesn’t have a clock. This dash was in the car when I bought it and I do not know why it was replaced. 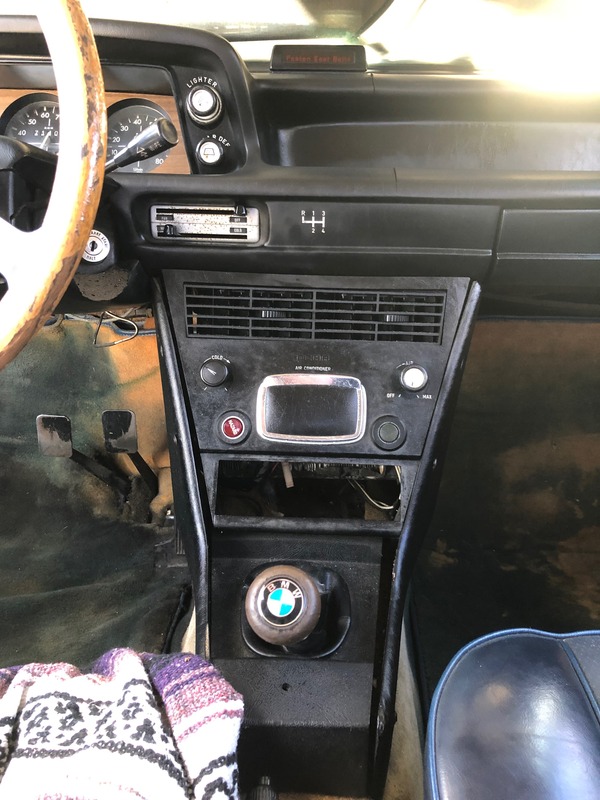 The dash itself has 3-4 cracks, but all the center console components are in place, including those for the A/C system. 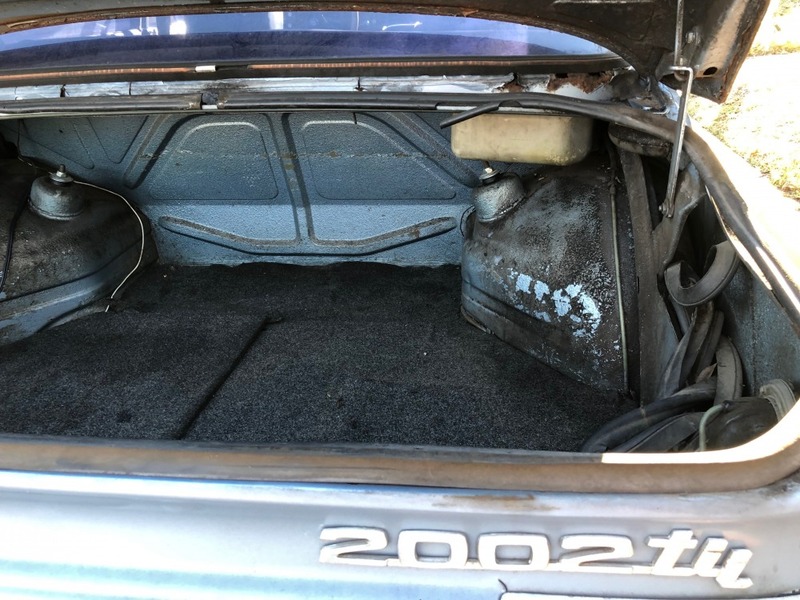 The carpet in the front is faded and discolored but intact with the exception of the backing on the carpet on the driver’s side floorboard. 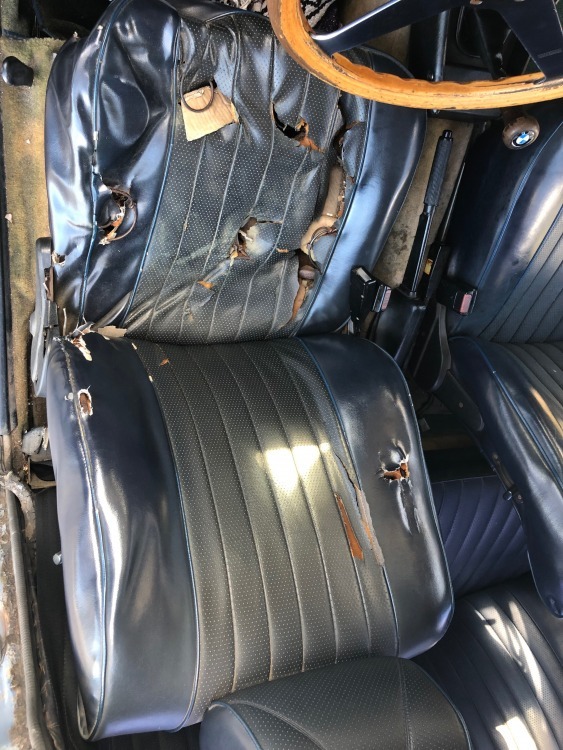 The front passenger seat is in great shape, however, the driver seat is somewhat of a mess, with springs poking through the vinyl and the horsehair coming out. I dealt with that in the tried and true manner of throwing a blanket over it and ignoring it. I also believe the passenger seat may have come out of another car, as there is a lever for the folding mechanism on the inside of the seat as well, which doesn’t make much sense to me. 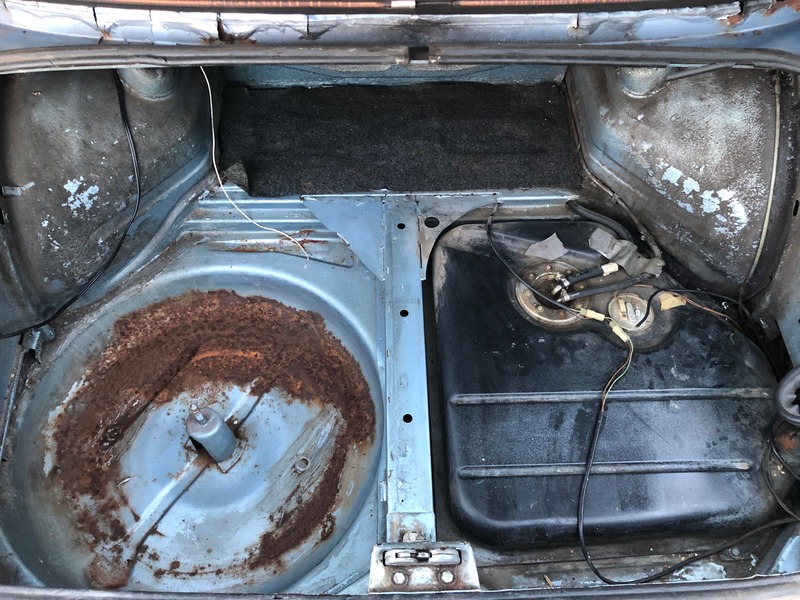 The rear seats are in great shape. 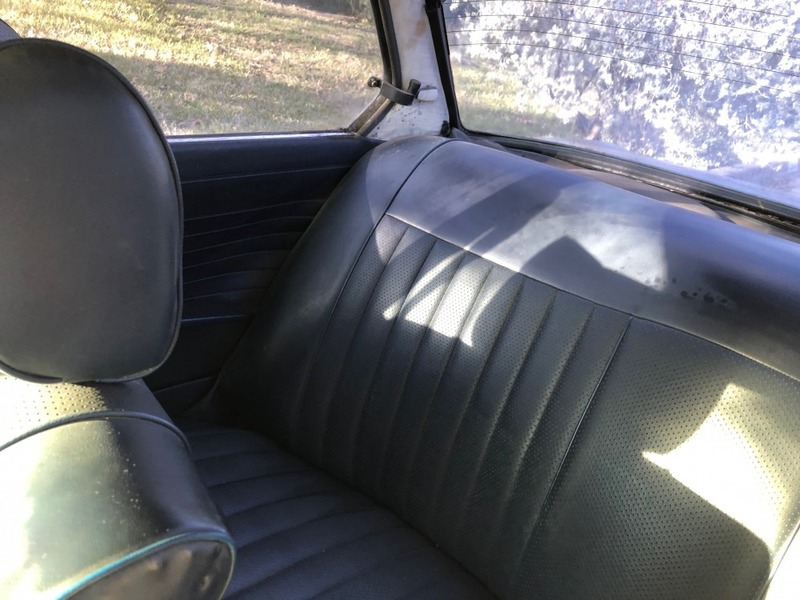 In part this is because it’s pretty damn near impossible to get to them, as the folding mechanisms on the front seats are extremely difficult to get to work, if they decide to work at all. 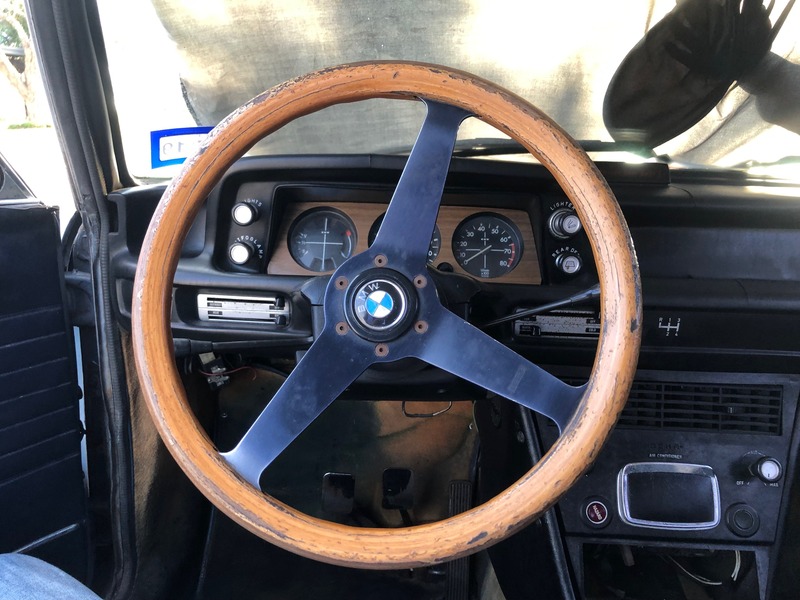 The wood wheel is a Momo, but could stand with some degree of refinishing, as some of the clear coating/lacquer has worn off in some places. All that being said, in all honesty I really don’t have a great idea of how to price this car. 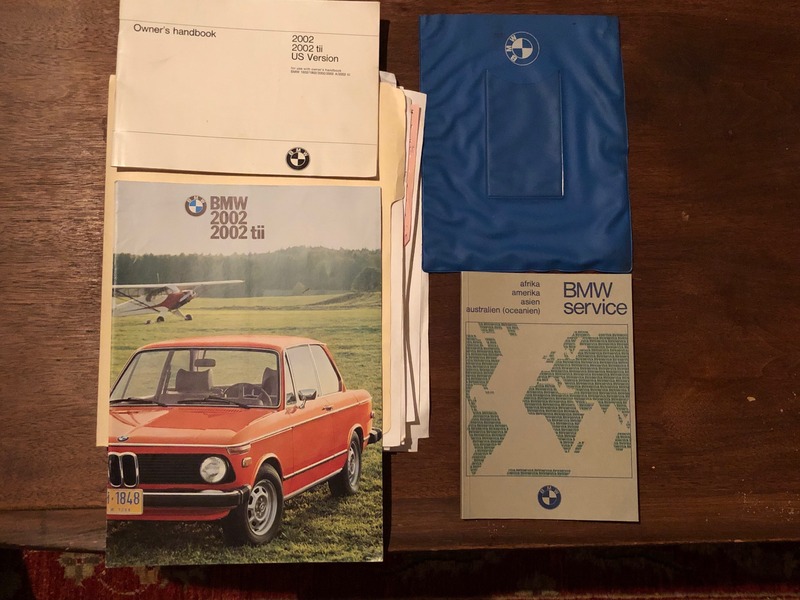 As mentioned I bought this car around 16 years ago, and I haven’t really kept close tabs on the market since. 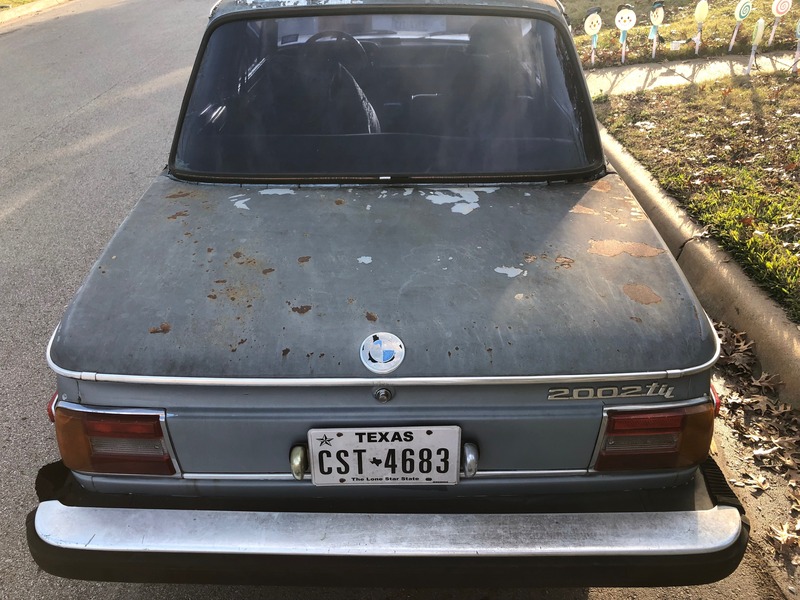 So, I’ve taken a look at similar cars with some (in my opinion) needing more (or much more) work than this car, and some needing less work. 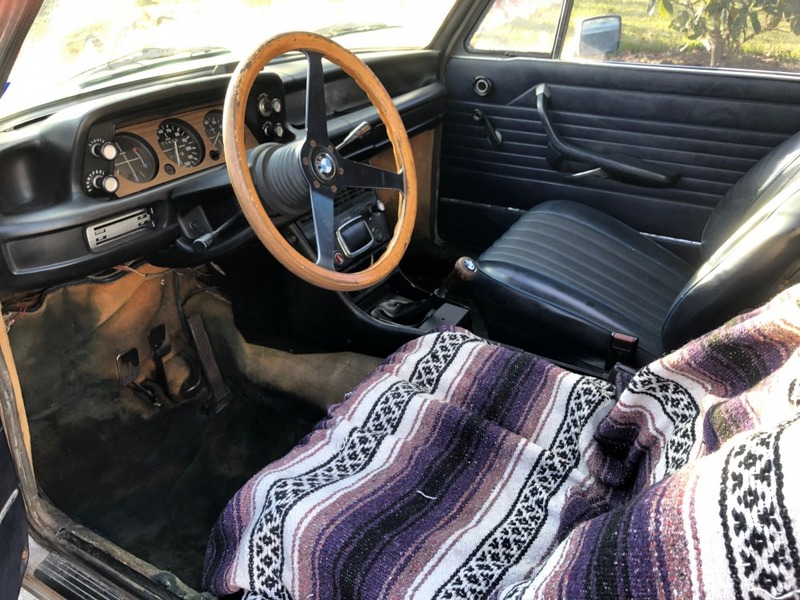 I am starting out asking $8,000, as I’ve seen cars that were (asking) around this price, or a significant amount above, that needed more (or far more) work. 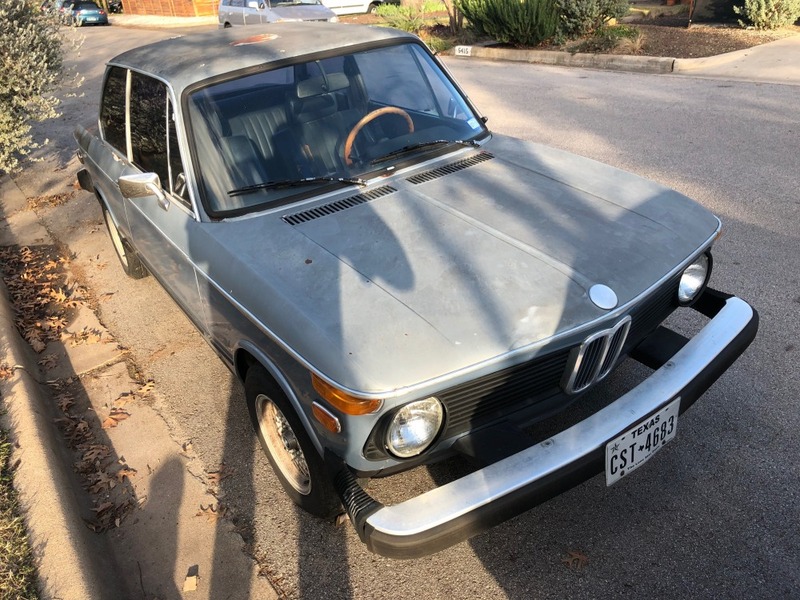 I’m sure anyone who is a serious buyer will have questions, all of which I’ll be happy to answer as best I can, though I do not hold myself out as an expert in any way. 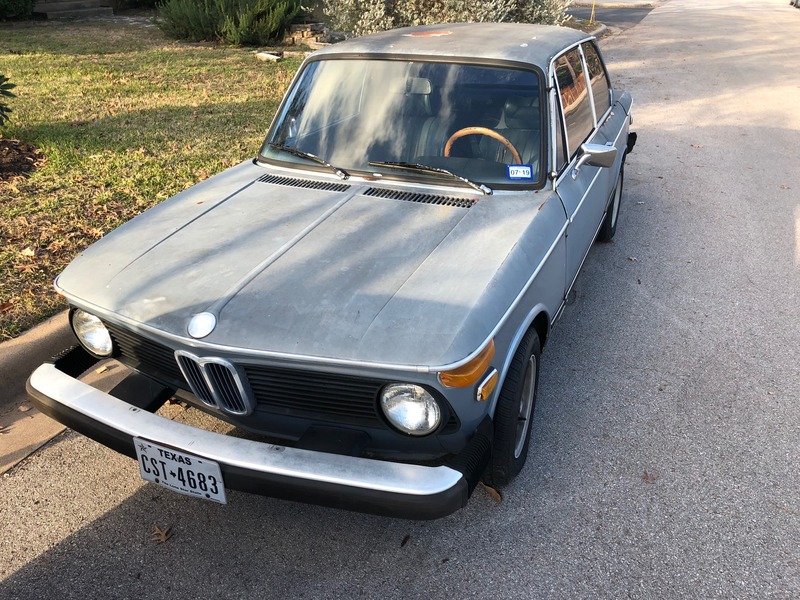 Please send me an email at agakmal@yahoo.com with the subject line “BMW2002” with your question(s) or your contact info if you’d prefer to discuss via phone call. I am no expert, but (1) getting it up on a lift and posting some undercarriage shots and (2) including photos of the matching (hopefully) VIN from the engine block and right fender might help your cause. It looks like this, adjacent to the starter by the firewall. 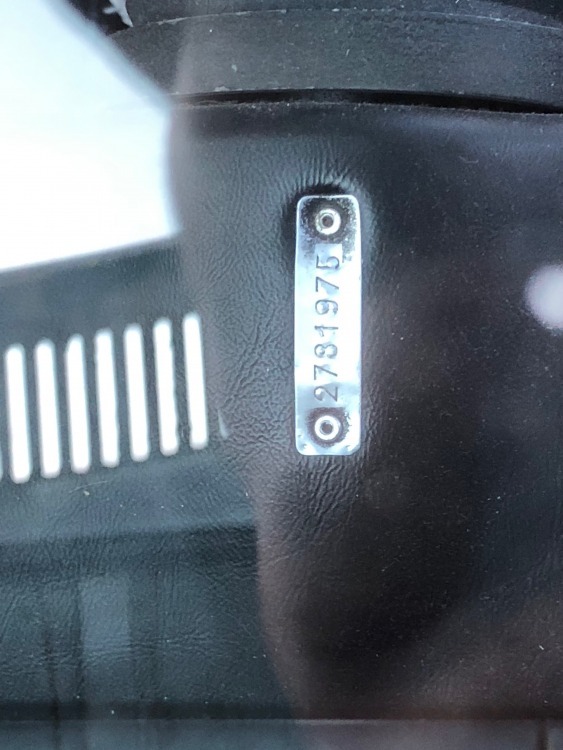 You might have to pull off the rear snorkel of the airbox, or even the airbox, to see the engine number on an aluminum-runner tii. 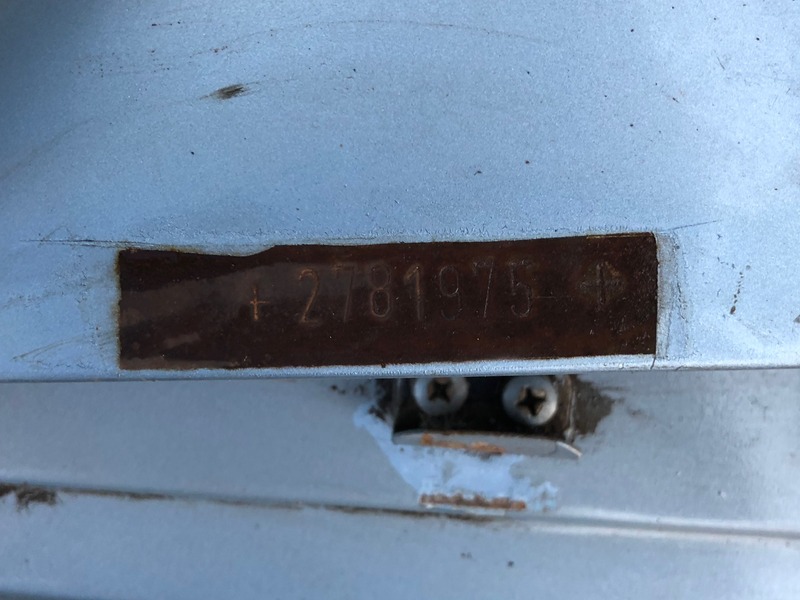 I finally got some time today to pull the snorkel and find the engine number. 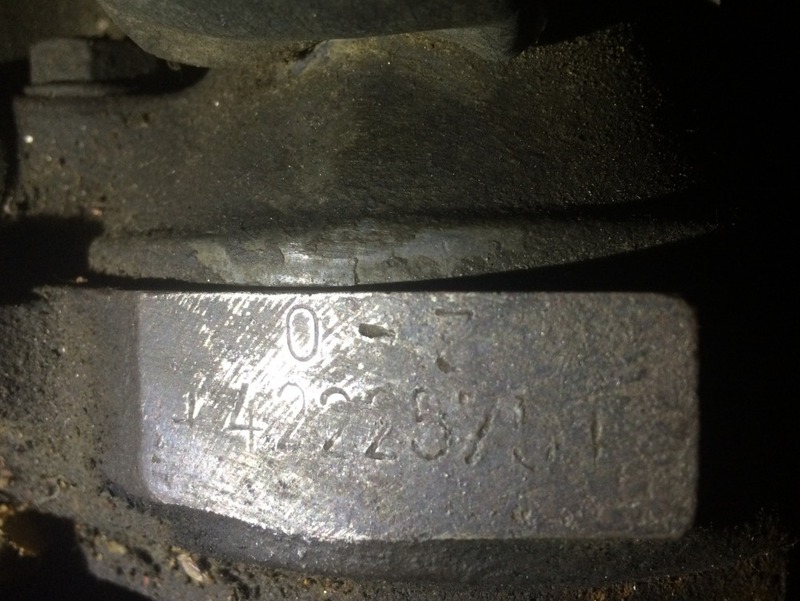 The block is stamped with the VIN 2761596 (photo below), so the car does not appear to be numbers matching. 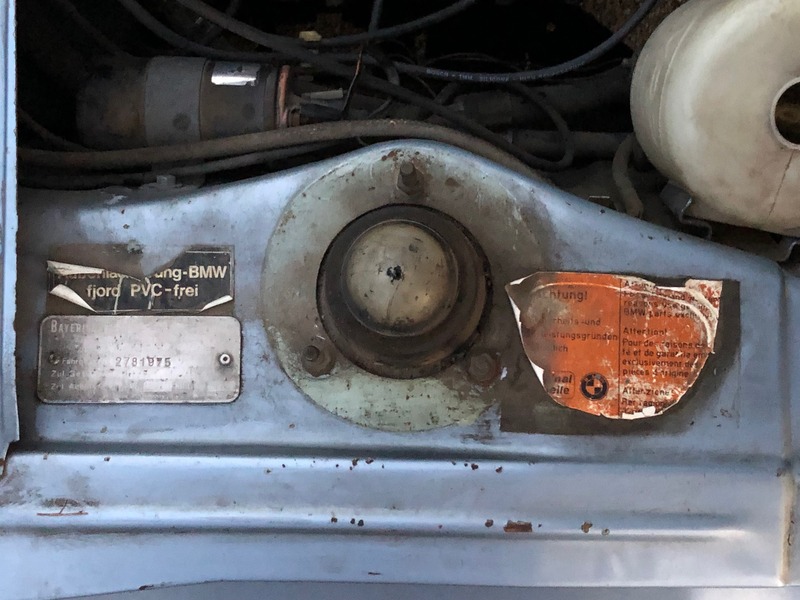 As far as I can tell from the various decoder sites available, it appears to be a block off a '72tii. While I don't have access to a lift, I put the car up on ramps and attempted to take some photos of the underbody. I've included them below. 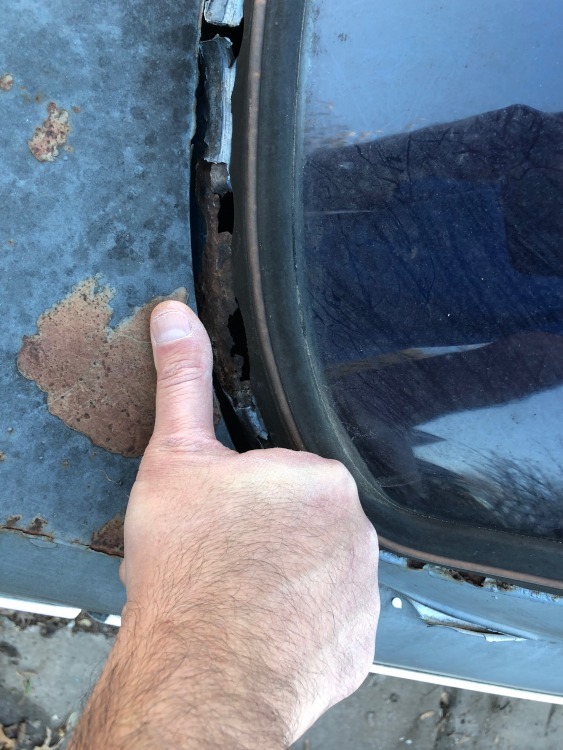 After really digging around the underside of the car today, I really can confirm that the car is pretty solid in the rockers, frame and floor pans. Again, I'm always happy to discuss further with any interested parties and open to both negotiation and constructive input or requests for additional pictures or information. Thanks to everyone who has already chimed in, it's much appreciated. Good luck with the sale, man. If I wasn't waist deep in project of my own, this would definitely be one to consider. A running tii for 6K is not a common phrase these days.